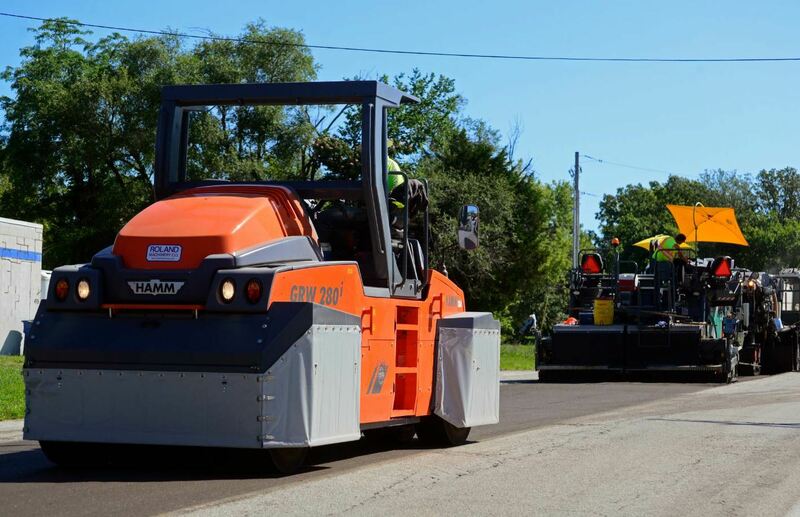 A spokesperson for CollAggs shared that one goal is to gain exposure for Delta S in the Southwest United States to compliment the formally monitored asphalt rejuvenator paving projects ongoing in the Northeast, Midwest and Southeast since the product’s launch in May 2015. What was old has become new again as an N.B. 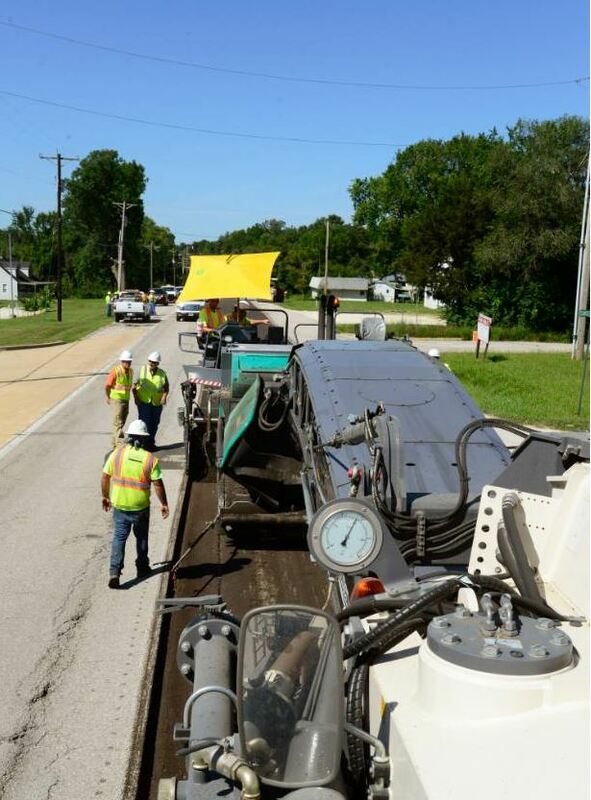 West crew foam-recycled Missouri State Route AT in Franklin County—better known as Old U.S. Route 66—as part of a resurfacing project. N.B. West used the 3800 CR to foam-recycle the roadway on Old Route 66. U.S. 66 is the storied “Mother Road” from Chicago to Los Angeles and is often remembered as a dual-lane highway. Before that it was a two-lane blacktop highway in most sections. Today, states through which Route 66 traveled celebrate its history as a tourist attraction, and mark its route with distinctive signage. 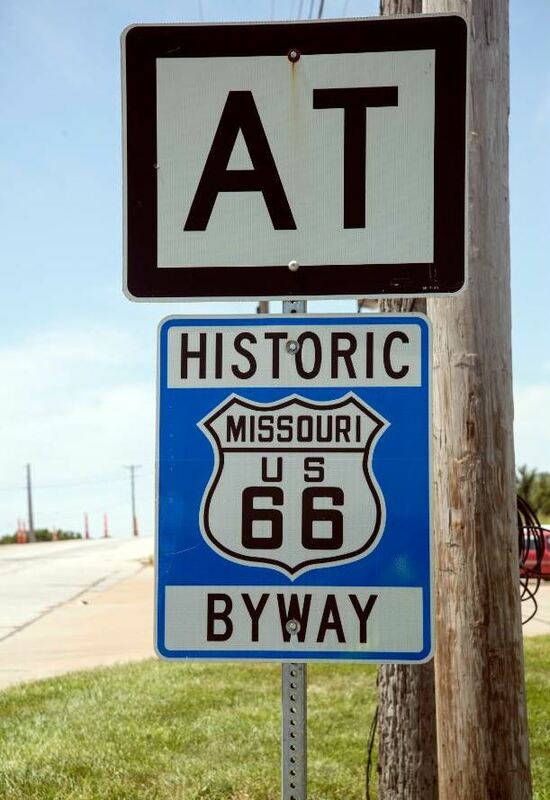 Missouri State Route AT—now a local road—is signed in the work area as an Historic Byway with the old U.S. route shield recreated. To preserve this road for future generations, cold in-place recycling (CIR) of the driving lanes used foamed asphalt, also called foamed bitumen. 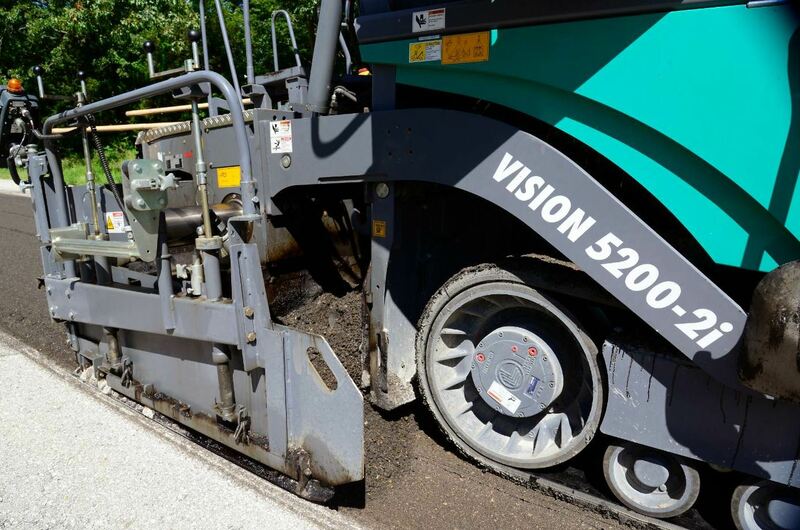 The centerpiece of the work was a Wirtgen 3800 CR set up for foam recycling, rear-loading a Vögele Vision 5200-2i paver. An AB 600 TV tamping-vibrating screed from Vögele pre-compacted the foamed mix. The standard width of this screed is 10 feet, and its single-tube telescoping system permits paving up to 20 feet wide. 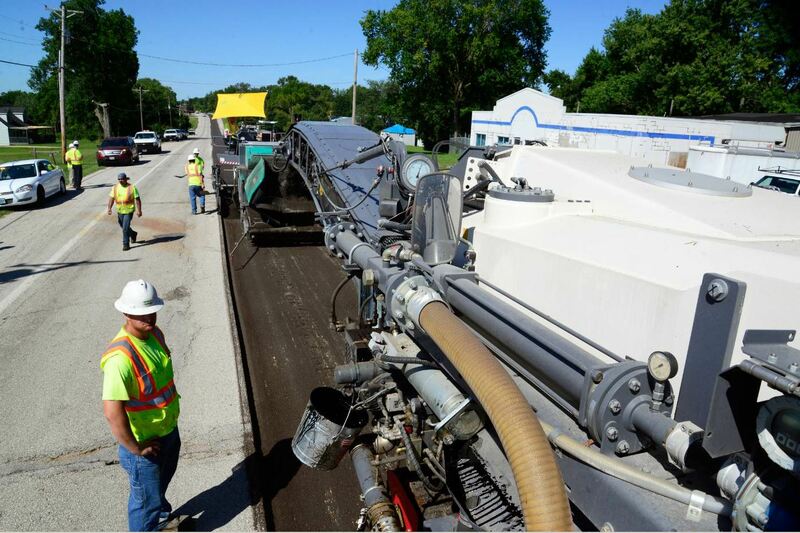 In this case the screed was widened to 12.5 feet, recycling and paving full-lane width in one pass. The tamping-vibrating screed provided compactive effort on the material as it emerged from the screed. While the paving train was stopped, the rubber-tired roller could catch up on achieving target density. The principal engineer on the project, Stephanie Drain, P.E., said the job specs called for densities above 95 percent. She said the team achieved numbers from 95 to 101 percent of target density. 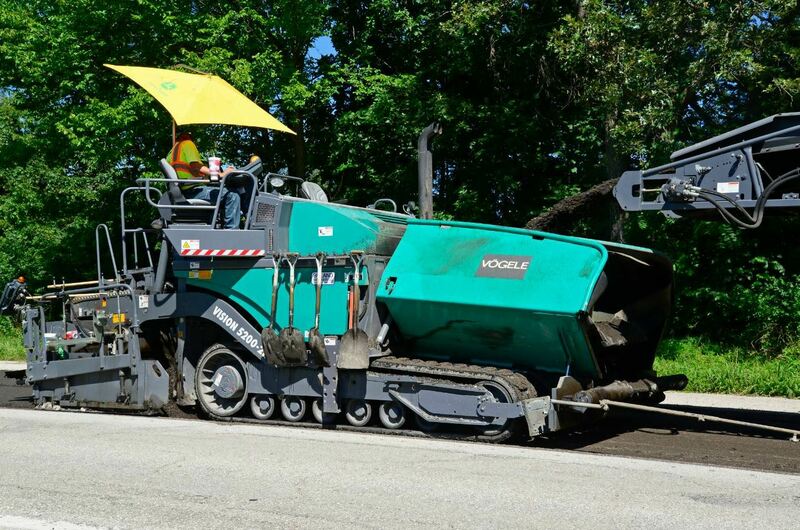 “It’s possible to get compaction of 87 percent right behind the screed, and before the rollers even touch it,” said Mark Stahl, Wirtgen recycling products manager. The length of the project was 4.7 miles, with two 12.5-foot lanes recycled, for a total of 9.4 miles. 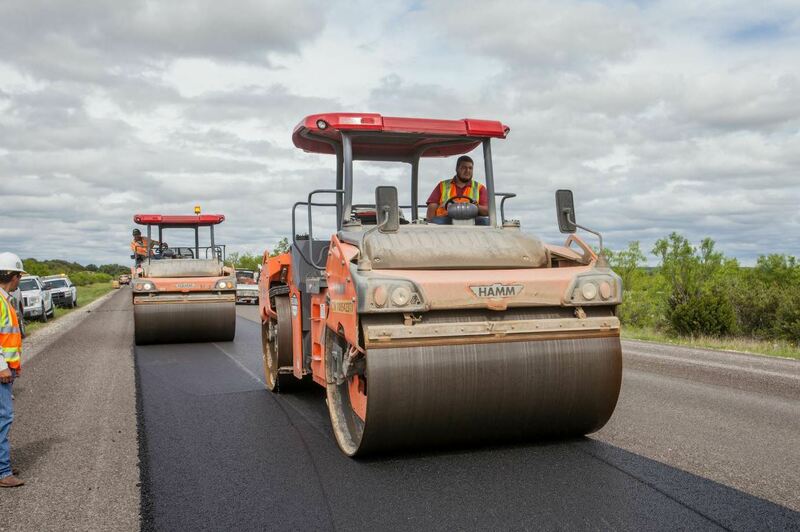 Because the work progressed at a forward speed of somewhere between 26 to 32 feet-per-minute—slower than some asphalt paving—the compactive effort of the screed at this slower speed improves initial compaction, and potentially reduces the number of following roller passes to achieve the density target. The 3800 CR is unique among in-place recyclers, as it can serve both as a conventional asphalt cold mill, or after a few-hours changeover, can serve as an in-place recycler using asphalt emulsion, cement or lime slurry, or foamed asphalt. Notice the temperature gauge on the 3800 CR. For this in-place recycling process, foamed asphalt is employed. A microprocessor controls the injection of small quantities of water and air into hot liquid asphalt under high pressure. The water evaporates and causes the asphalt to foam rapidly. All photos courtesy Tom Kuennen. 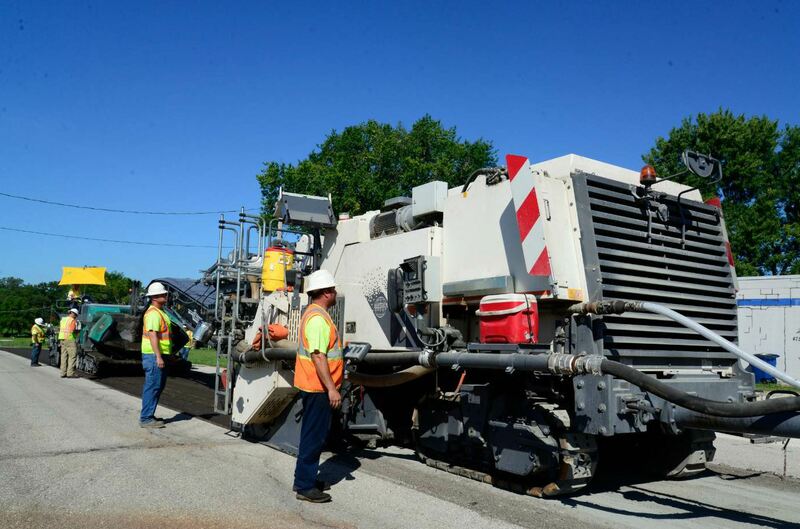 For each lane, a 3/4-inch was milled off the surface in two passes by a Wirtgen W 200. The 3800 CR followed, foam-recycling the material to a depth of 4.5 inches in a single 12-foot, 6-inch pass. The foam mix received 2.5 percent liquid asphalt, and 1 percent dry cement was placed on the pavement in advance of the foaming. The Hamm HD+ 140i VV served in the breakdown position. The work progressed at a forward speed of somewhere between 26 to 32 feet-per-minute. 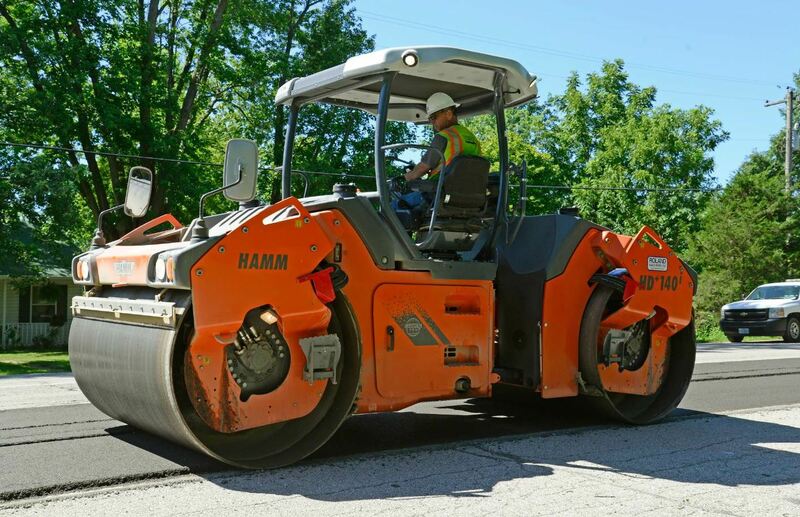 Compaction was performed by three rollers: a Hamm HD+ 140i VV, a smooth drum tandem roller, and a Hamm GRW 280i-25 pneumatic roller with operating weight of 49,965 pounds. “Job specifications are above 95 percent, but we are getting from 95 to 101 percent of target density,” Drain said. The length of the project was 4.7 miles, with two 12.5-foot lanes recycled, for a total of 9.4 miles. At the east end, a third lane exists where the highway approaches an intersection, which makes a 36-foot-wide highway for a half-mile. Ultimately the stabilized base was paved with 1.5 inches of hot mix asphalt 3/8-inch NMAS surface course. Foamed asphalt, also called foamed bitumen, is an economical way to renew and stabilize recycled road bases. Instead of addition of an asphalt emulsion or other product, foamed asphalt is employed. It’s produced by microprocessor-controlled injection of small quantities of water and air into hot liquid asphalt (approximately 175 degrees C, or 347 degrees F), under high pressure. The water evaporates and causes the asphalt to rapidly foam up to between 15 and 20 times its original volume. The foam is then introduced into a mixing chamber through injection nozzles, and optimally, mixed into cold and moist construction materials. The quality of the foamed bitumen is primarily described in terms of the parameters “expansion ratio” and “half-life,” that is, the amount of time it takes for a foam sample to fall by half. The greater the expansion ratio and half-life, the more easily the foamed bitumen can be processed.